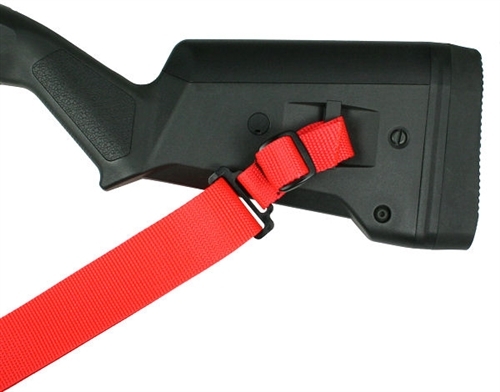 This sling is designed to fit 12ga. Remington 870, Mossberg 500, Mossberg 590 and Winchester 1300 shotguns. It is a good practice to distinctively mark any weapon capable of firing lethal ammunition when employing less lethal ammunition with that weapon. The reasons are numerous but the overall theme is to prevent confusion so that the weapon operator knows that the weapon is to be loaded ONLY with less lethal ammunition and observers are aware that the weapon being used is loaded ONLY with less lethal ammunition. This distinctive marking practice thus avoids devastating mistakes. One particular mistake is the “Me Too” shot wherein an officer observes another officer firing a weapon at a subject and reacts by providing supportive fire with their own weapon. In a less lethal force confrontation involving a shotgun loaded with specialty impact munitions this can easily happen with tragic results. Thus, the distinctive marking policy needs to extend not only to making the weapon operator aware but also making responding officers aware from all angles and from a distance. 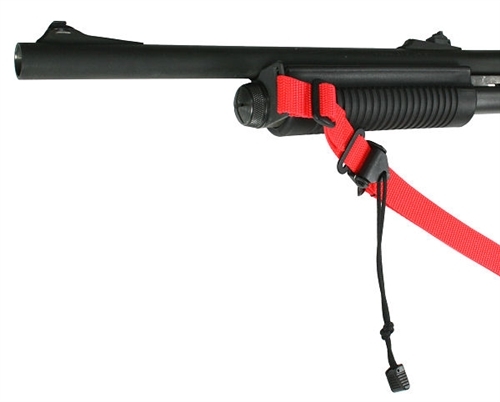 Installing an orange buttstock and fore end on a shotgun are a good first start and are very effective for designating a weapon to the weapon operator. However, from certain angles and distances, especially when the weapon is shouldered and being fired, the orange stock and fore end might not be seen at all. 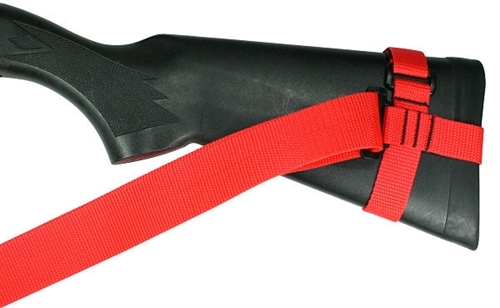 To address this issue we have manufactured a number of our sling designs in International Orange for use on shotguns loaded with less lethal specialty impact munitions. 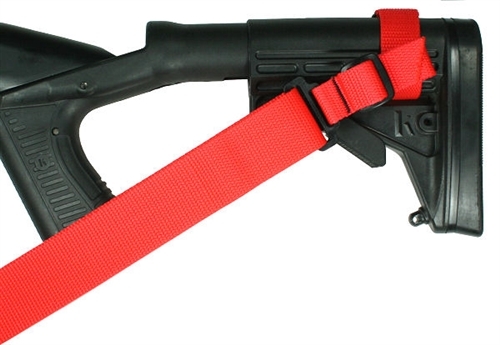 With an orange sling the weapon is distinctively marked and with the sling passing over and around the operator’s body, a bright orange visual cue can be seen from most angles and at greater distances. This will greatly diminish the chance of confusion in critical situations.